Suitable for high pressure systems and combi boilers (1.0 bar) only. Dual control thermostatic shower with check valve built in. 15mm compression elbows at 150mm centres. Valve shut down in case of supply failure. 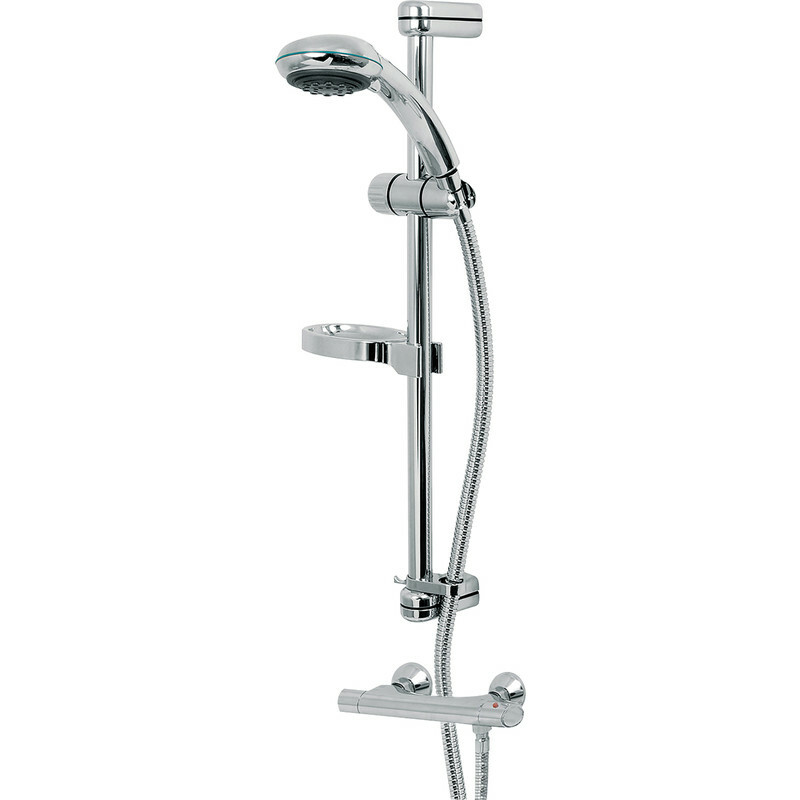 Kit includes chrome plated soap dish, hose retainer 1.5m wide bore hose, rail, brackets, slider and single mode handset.